When it comes to snacking everyone in my house is on board when it comes to trying something new. And even though these cute little brownies showed up in a box with KID on them real big the boys were right there with their hands out. They couldn't get their hands on them fast enough to try one out for themselves. Of course that started the battle between them and my daughter because I told her these were coming for her. She did finally concede and let them each have two brownies, but after she firmly let them know the rest were hers. This was all before they even tried them. Once they all had their first brownie down it was another story. She was regretting letting them have two, and they were trying to convince her to give them more. So to break it up I had to bring out the LÄRABAR bars I also received. LÄRABAR KID brownies contain nine basic pantry ingredients: buckwheat flour, semisweet chocolates, honey, water, coconut oil, cane sugar, sea salt (or peppermint oil for mint brownies), cocoa powder, and chia seeds. They are gluten free and Non-GMO. 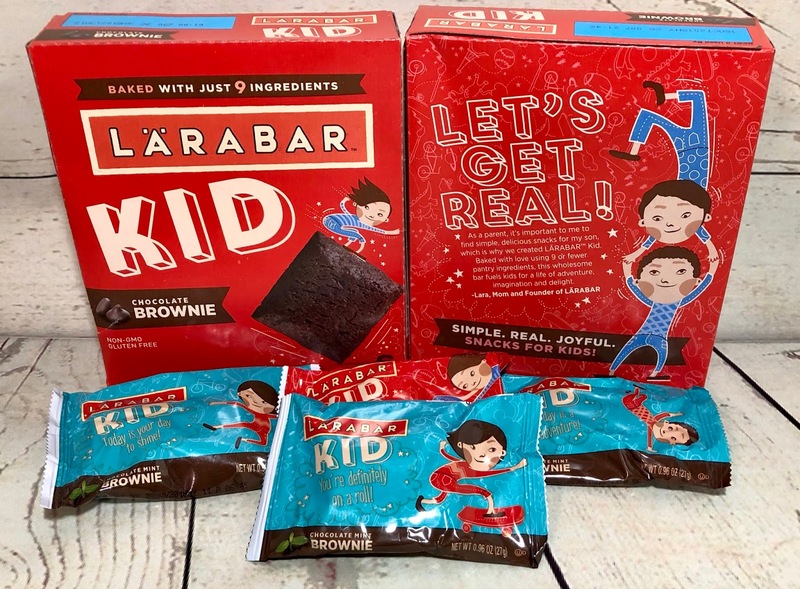 Thankfully I got a nice assortment of the LÄRABAR bars because the boys were just not going to be satisfied with just two little brownies. Grated it didn't take long for them to start divvying up the bars between them. I guess it was a good thing I had taken a few out for myself ahead of time or I probably wouldn't have gotten any for myself. I like LÄRABAR because they use natural ingredients you could actually find in your own pantry. They aren't packed full of ingredients you've never heard of or can't even pronounce. Of the bars I've tried the blueberry muffin is probably my favorite of them all. It's like eating a fresh muffin without the mess! Buy it: You can purchase LÄRABAR products at Walmart or on Amazon.com.